In the Independent article “Cracking up: the legacy of Celtic Tiger Ireland” by Kim Bielenberg, 15th May 2017, the mounting crisis of ‘celtic tiger’ defective buildings is explored. There are over 30 large residential projects known to have significant defects- a list is included at the bottom of the post. Remarkably, Ireland has maintained a unique ‘hands-off’ 100% system of self-certification of building standards, where developers can still employ private building inspectors directly and state still has no role in testing compliance with building standards. With recently announced stimulus measures aimed at the private housing sector by Minister Coveney, similar quality and workmanship issues may return to the sector. “Kevin Hollingsworth is still shocked by the poor standards of construction that he sees in his work as a building surveyor. The Celtic Tiger era has left a shoddy building legacy, and it is a crisis that is in many places still only becoming apparent. At the moment, for understandable reasons, attention is focused on the housing shortage. But there is also a mounting crisis over appalling construction standards. All over the country, thousands of homes that were built during the boom have been found to be defective. And in many cases, the botched building jobs are only now coming to light. Some high-profile developments have made the headlines, but many in the property business believe these are just the tip of the iceberg. Residents of Priory Hall had to abandon their apartments over fire safety issues. 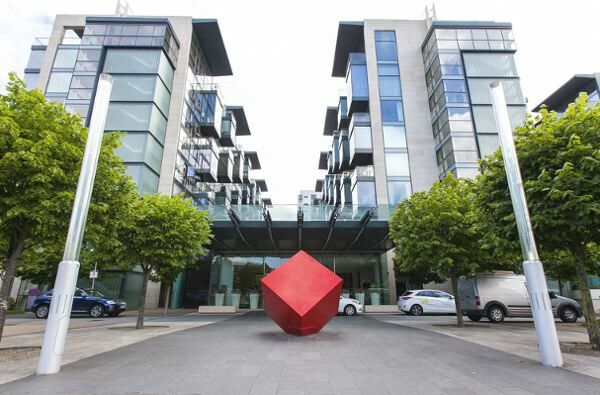 At Longboat Quay they faced huge costs because of defective fire safety features. There are also fire safety issues at the massive apartment scheme at Beacon South Quarter, and these came to light when there were moves to fix a problem with water leaking into two of the blocks. In the most extreme cases, such as the hundreds of houses built with defective building blocks in Donegal, homes are literally crumbling. And then there is the pyrite crisis – the mineral commonly used to build foundations has caused floors and walls to crack in thousands of homes… In many cases the problems relate to fire safety, water leaking in from the outside, sewerage problems and defective building materials. 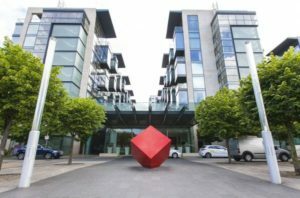 Killian Ryan was one of those who was shocked to discover earlier this year that he faces a likely bill of over €15,000 to fix defects in his apartment block at Beacon South Quarter in Dublin… Ryan says there are more rights for consumers buying a doll’s house than if they buy a real home. Construction lawyer Deirdre Ní Fhloinn agrees. “You have more rights if something goes wrong with the iPhone in your pocket than when you buy a home,” she says. Fortunately, there have been no major fire disasters in shoddy apartment blocks that went up in the Celtic Tiger era. But we were given a warning of what could happen when a row of six terraced timber-framed houses at Millfield Manor in Newbridge, Co Kildare went up in flames in just 30 minutes in April 2015. According to a consultant’s report , the walls that separated the houses had “numerous deficiencies”, including “inadequate fire-stopping”. The report found that the timber frame partitions did not run to the underside of the roof. The potential implications of the Millfield Manor fire are huge. What is to be done if there are thousands of similar developments all over the country? The report was due to be published in January of last year, and is now complete, but the Department of Housing under Simon Coveney is sitting on it. One of the major causes of the crisis was that developments could be built in the Celtic Tiger era without any proper fire inspection. A system of self-certification had been introduced by Environment Minister Pádraig Flynn in 1990. Since 2014, under new regulations, inspections at the time of construction have become more rigorous. Hollingsworth says another problem is that builders used different construction techniques to save time and money. During the boom times there was a move away from traditional building with blocks and cavity walls. Builders preferred system-built construction. Ready-made walls arrived as panels on the backs of lorries and were pieced together in jig time on site. Many builders were not used to this. “Often the seals were not done properly, and there are now problems with water ingress and condensation,” Hollingsworth says. According to McKay, in poorly built timber-frame homes there are often problems with weather-proofing, insulation and air-tightness. Construction lawyer Deirdre Ní Fhloinn says Irish law is stacked against homebuyers who discover defects in their properties. She says there is a pressing need for a building regulator to oversee the sector. We have regulators for telecoms, data protection and food safety, but none for a sector that has exposed the State and homeowners to huge costs as a result of shoddy practices. “In this country you need a licence to drive a taxi, but you don’t need a licence to build a house,” says Ms Ní Fhloinn. The lawyer who specialises in building defects says the State needs to step in as a regulator. This entry was posted in Building Regulations on May 16, 2017 by BRegs Admin.